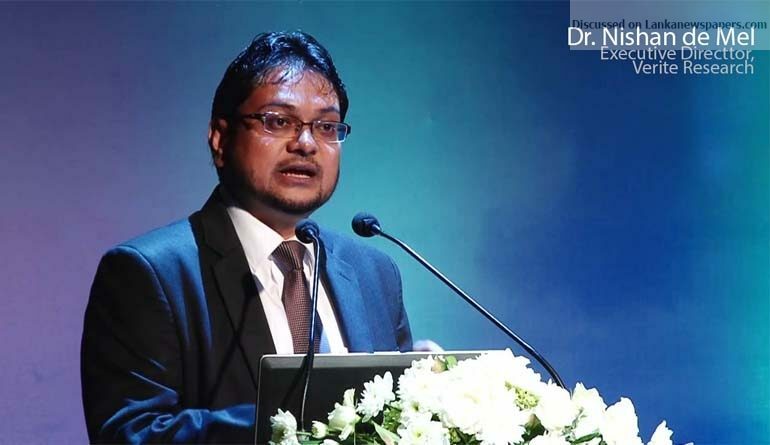 The Fiscal Management (Responsibility) Act, which governs budget related reporting in Sri Lanka, is falling short of international standards when considering its quality and scope of reporting, Executive Director, Verite Research Dr. Nishan de Mel said. “Although Sri Lanka does adhere to the law, or in other words we are in keeping with the letter of the law, we do not adhere to the spirit of the law. But the country could do a lot in that direction, de Mel said at a seminar yesterday at the Sri Lanka Press Institute, Colombo 5, on the subject, “Budget Transparency in Sri Lanka.’ It was delivered at the launch of the ‘Open Budget Survey 2017’, a global publication of the latest open budget survey, which scores 115 countries on the openness of their budget process. The seminar was organized by Verite Research. De Mel said that the recent assessments of the 2013/14 and 2016/17 budget processes have placed Sri Lanka at 60 in the world and among the lowest ranking countries in South Asia in this regard. “Sri Lanka scored 44 out of 100 points coming in one before last in South Asia, on par with Pakistan. Afghanistan performed better than Sri Lanka, whereas Bangladesh did not, he said. ‘There are three simple ways in which Sri Lanka can improve by going by the letter of the law and implementing the Act in terms of its intended purposes, which are: to publish comprehensive non technical documents, provide budget related reports in a consistent format, and publish adequate information in line with international standards, he said. De Mel said that one of the main purposes of the Act is to increase public awareness of the government fiscal policy and to establish standards for evaluating the government’s conduct of its fiscal strategy. He said that the draft estimates are difficult to comprehend, spanning three volumes of about 500 page each and the budget speech focuses mainly on new expenditure proposals that cover less than 10 percent of the budget expenditure. De Mel also said that when it comes to providing budget related reports in a consistent format it has many issues, such as, budget estimates. Appropriation bills present value under administrative units, such as ministries. “However, the mid year fiscal position report and the fiscal management report do not include breakdown of the administrative units, he said. ‘When it comes to publishing adequate information in line with international standards and scrutiny, budget outcomes and compliance should be addressed to improve Sri Lanka’s position, he said.